President Uhuru Kenyatta has reorganized the National Police Service (NPS) command structure in a bid to eliminate overlap and duplication in reporting functions in conformity to the National Police Act of 2011 and to achieve the jubilee regime police reform agenda. 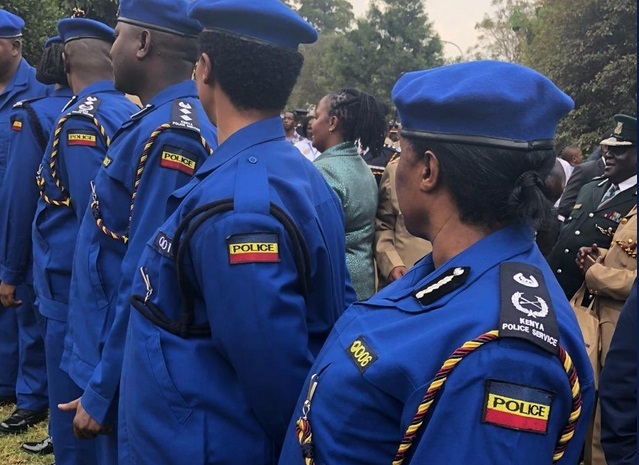 39, 680 Kenya Police Service and 24,572 Administration Police will be integrated into general duty police officers under the command of Deputy IG- Kenya Police Service. 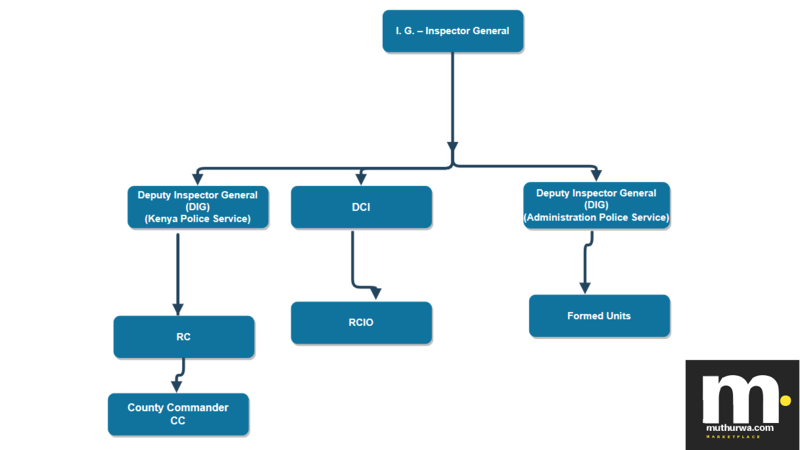 The Deputy Inspector General (IG)- Kenya Police Service will focus on public safety and security. Deputy IG- Administration Police Service will focus on protective and border security, combating cattle rustling and banditry. There shall be one county commander and one sub-county commander. There will be a new police uniform and that will look like the photo below. President Uhuru Kenyatta also announced that there shall be a rebranding and renaming of all Kenya Police Service training colleges. Kiganjo Police Training College will be renamed to Kiganjo Police Campus, Administration Police Training College (APTC) will now be NPS Embakasi A Campus, GSU TC will now be GSU-NPS. He indicated that that the changes are meant to boost the morale of the police by improving their conditions of service. Cabinet Secretary for the Ministry of Internal Security and Coordination Fred Matiang’i and Inspector General of the National Police Service Joseph Boinett has been tasked with the responsibilities of ensuring the policies and restructure is implemented seamlessly.